As I write this, everyone is at the St. Patrick’s Day parade in Newport, RI. I can picture this sunny day, the streets awash in green crepe paper and hats, Irish knit sweaters, babies and young girls with shamrock-painted faces, and guarded flasks of Jamieson in herringbone vest pockets. I hear police car sirens resonating over and over, even from here, the other side of the hill, leading the parade to its end at the Ancient Order of Hibernians (AOH), where the celebration will be capped off with a traditional American – Irish boiled dinner, corned beef and cabbage. AOH was created to protect Irish Catholic priests under the rule of English King Henry VIII, and it became a club, more or less, organized in early 19th century America as a way for the immigrant Irish to band together against the established Boston Brahmin “No Irish Need Apply” (NINA) directives, to promote forward thinking, interact and find work in their oh, so new world in America. There were two Hibernian organizations on Aquidneck Island, Rhode Island, originally, the first organized downtown in 1876. James Bradley, who sailed across the Atlantic from Ireland at the turn of the 19th century, was a founder (according to the gold watch he received) of the uptown Hibernians, formed to educate and enrich the lives of new Irish immigrants, which met at the old Music Hall on Thames Street. James Bradley was Brad’s (my husband) grandfather, for whom he is named. For over forty years, there has been nary a St. Patrick’s Day morning that Brad, as one of six children from a large Irish family, didn’t ask me, “Do you have the recipe?” referring to his cherished corned beef and cabbage, which is the traditional staple St. Paddy’s Day dinner, at least in the U.S. It always tastes the same, like a boiled dinner. The brisket has either cooked down to nothing or ended up too stringy for consumption for the past 43 years. In mid-May our children will be arriving from Salt Lake City and northern New Jersey and later on Costa Rica. 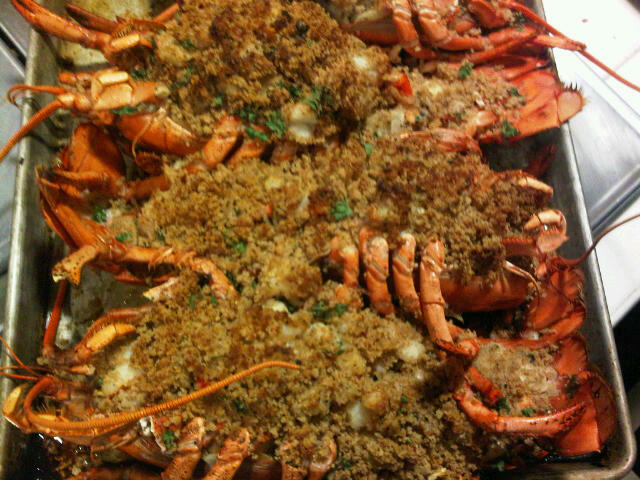 Always a celebration when they all come home and baked stuffed lobster signals it’s a special family time for a New England style dinner. With the approaching St. Patrick’s Day celebration comes memories of the Irish and their relevant Newport history. Newport was built on the backs of the Irish, from its grand architecture to the seasonal cleaning of the giant Waterford crystal chandeliers, and of course, the daily cooking which began in the early hours of every morning. 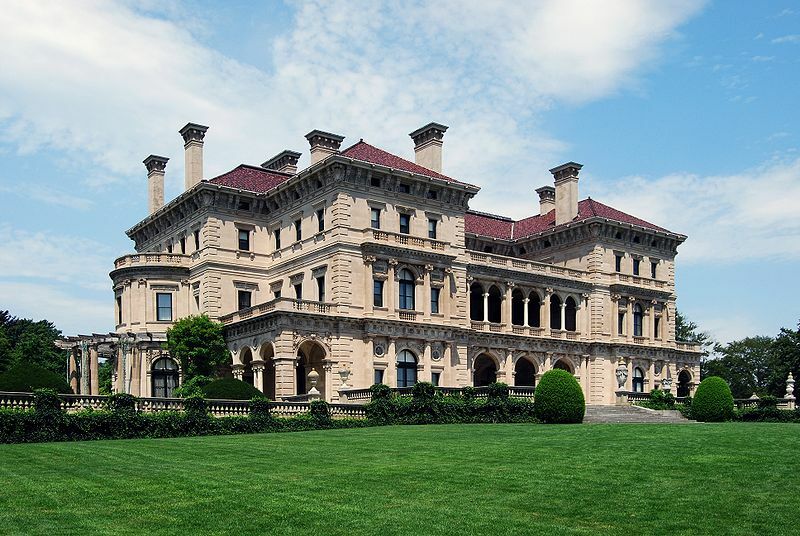 This is the famous Breakers estate, home of the Cornelius Vanderbilts, cornerstone example of the Gilded Age, built before income tax laws were passed. There are 30 rooms for the once mostly Irish servants on the third floor.